My Husband and I have been working out in the garden. This year we decided to grow some sweet baby pea pods. 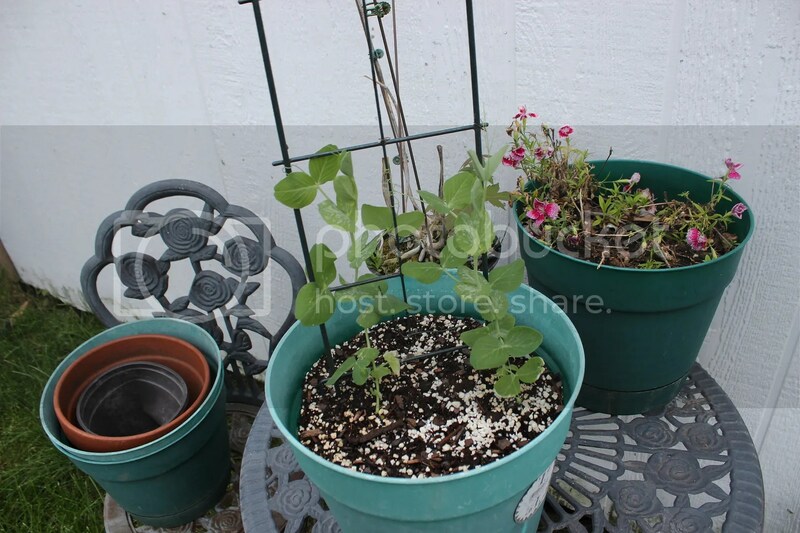 I have placed two plants in a large planter and used an old little trellis for them I had laying around. I love plants that vine. It is awesome how the wrap so tightly around the nearest thing they can find. We also planted several pea pods in our garden. We have been trying to keep to a tight budget so we didn’t want to go out and spend any money on supplies for the garden. 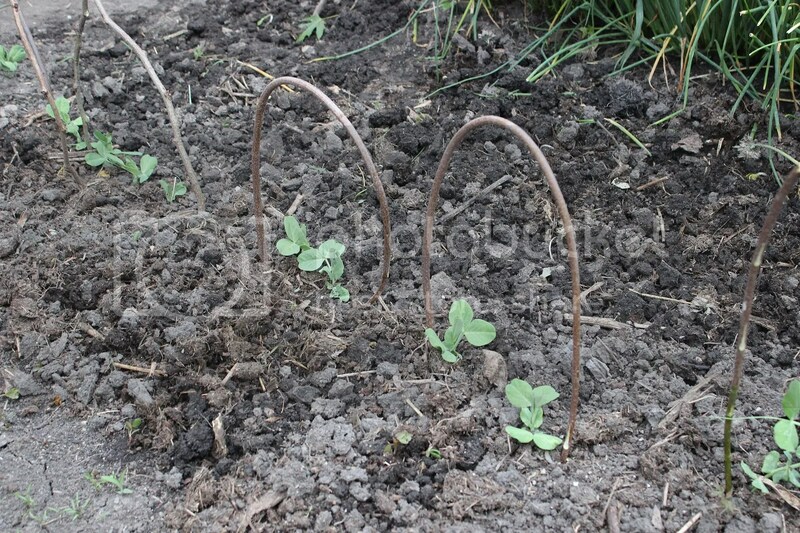 We forgot that the pea pods needed a trellis or line to cling to and grow. One afternoon after cutting the lawn I had noticed the tree in the front needed some trimming done. 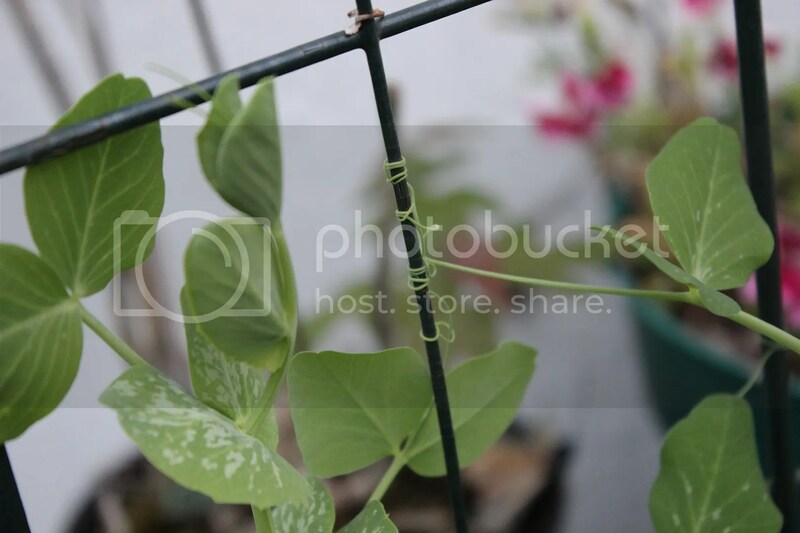 After trimming and dragging the small branches to our compost pile I thought how pretty would it be to use the branches at little trellis’s for the pea pods! So I stripped off all the leaves and bent them into a curve and My Hubby pushed them into the ground. I absolutely love natural elements in the garden! Our tomatoes have metal basket things around them and I think they look awful! We will eventually come up with something more natural for those as well.